We did it again! 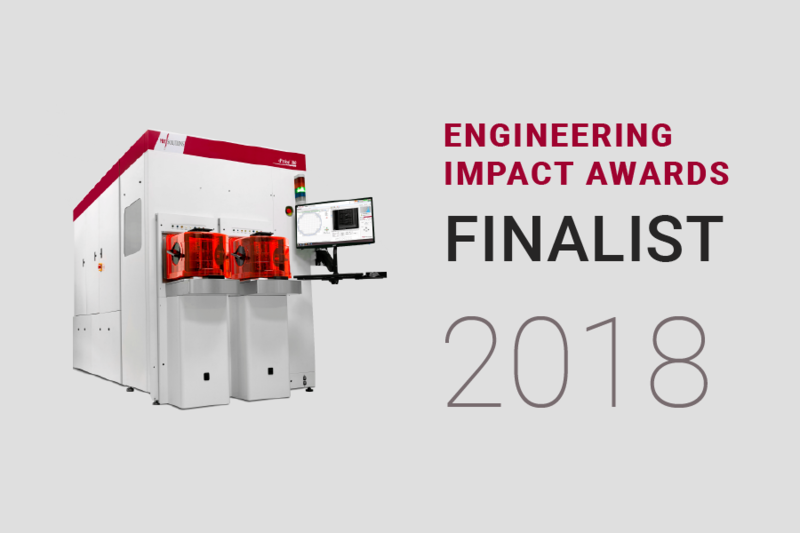 JKI's Scanning Electron Microscope project has been selected as a global finalist for the 2018 NI Engineering Impact Awards - Electronics and Semiconductor category. Our application was recognized by an expert panel of judges as one of the best submissions and we couldn't be more proud of our team! The objective of the application was to build a control system for a scanning electron microscope (SEM) to acquire images with nanometer alignment and autofocus, while integrating the software with an external .NET application. To build the solution, JKI and PDF Solutions used NI FlexRIO, LabVIEW, and JKI's Rapid Application Framework for LabVIEW (RAFL) to develop a system to perform control of the SEM and built a .NET interoperability assembly to communicate with external applications. Read the full case study to learn more about this challenging application and let us know what you think. This is the second time JKI has been a finalist on the NI Engineering Impact Awards, after our 2015 wins in the Energy and Community categories with the Primus Power Megawatt Energy Storage project. Engineering Impact Awards' winners will be announced on May 22nd during NI Week, so stay tuned for more updates!